I’m a christmas freak- I came up with this recipe purely to make my kitchen smell like christmas! 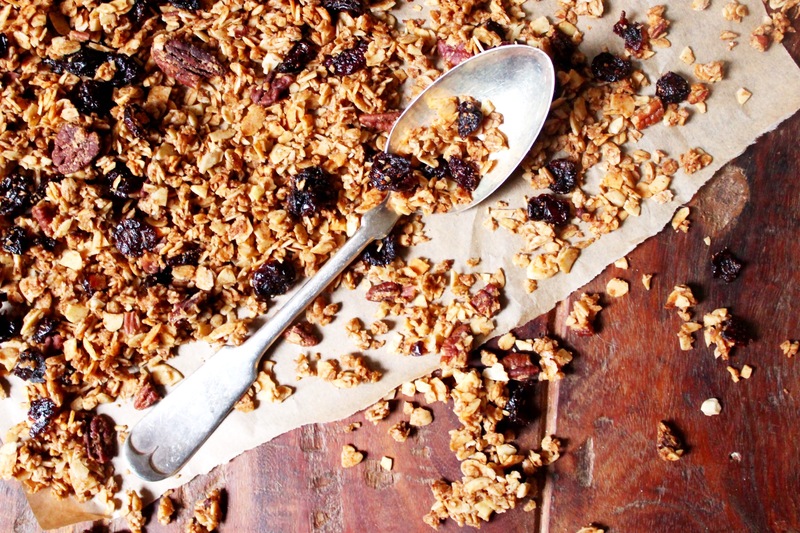 This granola is as festive as the smell of fresh pine trees with the best crunch and incredible flavour. 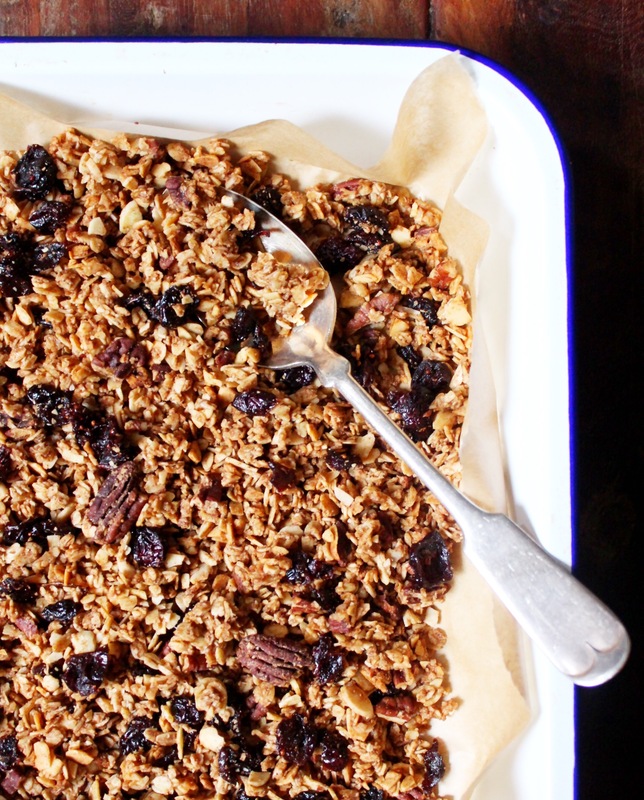 It’s full of christmasy spices and the maple syrup gives it lovely crisp clusters which taste amazing with the roasted pecans and chewy cranberries. It’s the perfect thing to have in the cupboard for wintery breakfasts or by the handful with a cup of tea. Preheat the oven to 180’C. Combine the gluten free oats, flaked almonds and pecans in a large bowl. Add in all of the spices and mix well. Spread the mixture out on a baking sheet lined with parchment paper and bake at 180’C for about 15 minutes until golden brown, tossing once in the middle. Leave it to cool and crisp up on a wire rack before tossing it into clusters then mix in the dried cranberries. Make sure it’s completely cooled before storing in an airtight container. No I never use the fan. Just made another batch but lowered temperature to 150 and it worked a treat. Smells devine!